Innovators since day one way back in 1946, Honda have been at the forefront of the engineering industry ever since. With the same level of craft included as in any of their other product line, Honda generators are amongst the finest available, with SGS Engineering offering an impressive selection. As leaders in both design and technology, Honda’s generators are built to ensure maximum reliability and efficiency. Whether you’re looking for something small and portable, or a larger unit with higher power, it’s more than likely you’ll find something within the extensive SGS Engineering range to fulfil your needs. For any further information on our entire product line, and for any additional help in ensuring you choose the right generator for your needs, place view our Generator Selection Guide. Before buying your Honda generator, browse through our collection and place an order on the model that best fits your requirements. We offer different warranty options on our Honda generators, ranging from 2 to 10 years on selected products. You can find our full warranty information here and on our individual Honda generator listings. For any unwanted goods, we have a 60 day ‘no quibble’ returns policy. We offer UK next working day delivery. 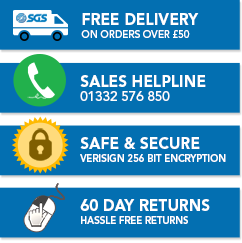 If you need more help, you can contact us via email sales@sgs-engineering.com or via phone on 01332 576 850 and our team will be happy to assist you with your order. With such a vast range of generators for sale, landing on just one can seem like a challenge. Yet, with the aid of one of our many how-to-guides, there’s an easy way of getting all the information you need about the whole SGS Engineering product line - including advice on how our generators work, and how to use them properly. 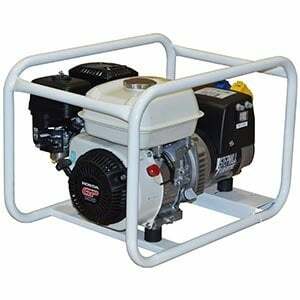 - Find out how to safely use your generator with this guide.